A Chartered Builder is a member of The Chartered Institute of Building. This means that the builder has a proven professional ability in construction. 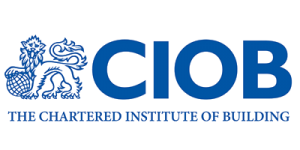 The Chartered Institute of Building (CIOB) is the world’s largest and most influential professional body for construction management and leadership. They have a Royal Charter to promote the science and practice of building and construction for the benefit of society and have been in existence since 1834. Dingle Homes are members of the CIOB. We are up to date with best practice in construction. The selection of a capable builder is probably the most important decision you will make during the course of your project. It is very important that you spend time on the selection process. Yes, the price is important but it should not be the only deciding factor. Check the builder’s past work. Were previous customers satisfied? Don’t be afraid to ask the builder for references before you sign a contract. With recent changes to Irish building legislation, it is no longer good enough to have an experienced builder, your builder needs to have a knowledge base on a very wide range of topics to guide your project to a successful conclusion. We recommend only dealing with a properly trained builder with a proven track record. By choosing a Chartered Builder you have the assurance that your builder is properly trained and experienced. Would you allow an untrained accountant do your accounts? No, you wouldn’t so why would you consider a builder with no academic training? Does my builder need a tax clearance certificate? A Tax Clearance Certificate is confirmation from Revenue that an applicant’s tax affairs are in order at the date of issue of the certificate. We recommend asking for a tax clearance certificate from your builder. If Revenue focuses on your builder and examines his affairs, you and your project could also be affected. It is also a requirement if you are applying for grant aid that the builder is fully tax compliant. Request a Tax Clearance Certificate from your builder, this is always a good indication of your builder’s solvency. If the builder’s tax affairs are in order it is a good indication that the builder is solvent to undertake your works. If the builder goes bankrupt during your project it will result in you losing a significant amount of money so don’t be afraid and request a copy of the builder’s Tax Clearance Certificate. Do not consider a builder without first obtaining proof of adequate insurance cover to undertake the project. Not all builders are properly insured. At a minimum, the builder needs to demonstrate adequate Public Liability, Employers Liability, Builders All Risk for the full duration of your project. If something happens on site you need to know you are covered so it is so important to satisfy yourself that your builder has all the relevant insurances and not just one type of cover. Most builders have inadequate insurance cover. Dingle Homes suggests that when you are looking for a builder, inquire about their insurance and if possible choose a builder with all risk cover. What kind of insurance is available for builders? If you are employing direct labour, or your builder does not have public liability insurance then you, as the property owner have a responsibility to take out public liability insurance. This ensures that you are covered if an accident occurs while work takes place on your property. • Employer’s liability insurance: a legal requirement for limited companies; it covers the employee who breaks a leg when the company’s ladder collapses; plenty of sole traders forgo this cover, which could involve the homeowner in litigation. • Contractors’ all-risk cover: a third of builders do not bother with this, which could land the homeowner with huge bills. It covers work carried out by the builder, such as an extension, accidentally destroyed before completion or before the homeowner extends his policy to cover it. Forgoing insurance is a massive risk that can have huge financial repercussions for homeowners and investors. Dingle Homes are fully insured and covered for all eventualities. Make sure everything is properly spelt out in the agreement with your builder. Make sure you get in writing a clear specification of the works and drawings to reflect every element of the building so that there are no misunderstandings. Carefully read through the contract with your builder to make sure you understand its contents. Make sure you’re not taken by surprise by what the construction costs cover and what they don’t cover. Make sure that the contract specifies a timeframe for the construction that suits your needs. Check to see that it includes detailed plans, warranty and insurance information. Also, pay close attention to the payment schedule. Always look for what the builder has excluded from the works and make sure you have an accurate cost for the exclusions so you know the real cost of the building. Don’t let a builder tell you, you can’t have something. They like things to run smoothly! You might need to pay extra for it, but if you want something don’t settle for anything less! Communicate this early on though, so everyone is aware of your intentions. If you settle for something you don’t really like then you will regret it for as long as you live in that house. Everything is possible but it might need a bit of thinking for a solution to be found. If your project is due to last longer than 30 days or 500 person days, then you must fill in an Approved Form (AF 1) and send it to The Health and Safety Authority. By Law, the Client must appoint a competent person in writing to undertake the role of a Project Supervisor Construction Stage. Normally the builder is the best person to perform the role of Project Supervisor Construction Stage but the Client must make sure the builder is competent to carry out this role. Proof of formal training to undertake the role should be requested from the builder. Your Health And Safety obligations are the most important thing you will do on the project as failure to properly undertake these duties can land you in jail. The Institution of Occupational Safety and Health has certified Dingle Homes competent to undertake the role of Project Supervisor Construction Stage. Before you start your construction project you need to submit a Commencement Notice to the Building Control Authority. Make sure the notice is submitted before you start. Failure to submit a Commencement Notice can cause you significant trouble down the road. How do I budget for a project? Here at Dingle Homes we regularly meet people who say that they would love to renovate or extend their house or invest in a property, but they worry about spiralling costs. They have heard horror stories about budgets being blown and a litany of extra charges and fees added on at the end of a project. With Dingle Homes, we believe in being fully transparent. We list all of our charges and fees up front. We take steps to prevent our clients from overspending. We start the project with a clear set of drawings and good scope of works documentation from which we can give realistic quotes. We also work hard to avoid scope creep. ‘Scope creep’ is when the builder starts the job, and as he’s on site the client says ‘oh while you’re here, could you just…..’. This is perfectly natural. However, to avoid the pitfall of a large bill of extras at the end, we provide a quotation for each of the additional things the client wants and calculate the extra time this will add to the project. This ensures that the budget and finish date are adhered to.